SWAT-Kats Revolution’s status is unchanged. Christian Tremblay has elected not to share additional visuals for SK Revolution publicly. One of the agreed upon segments that was intended to be a final, third video to be recorded during the Los Angeles visit would have been solely regarding SWAT-Kats Revolution, to act as an official update to provide progress details, answer some important questions that had been collected over the course of the year, and to show some new visual materials that had been developed for this proposed show. The topics, content and goals of this video segment had been discussed for approximately two months, via phone and email communication. Prior to setup/recording time, Christian Tremblay was met with beforehand. During conversation on-site, Christian said he would not go over the items listed below, instead choosing to focus on the 25th Anniversary Segment and Commemorative Print Giveaway segments. - Are there any visuals you can share for SK Revolution to give fans and Kickstarter backers an idea of what their contributions and support have made possible so far? - What studios have you approached for SK Revolution? - There have been rumors that WB owns the rights to any new characters created for the 1993-1994 show. Does that mean characters such as Lt. Felina Feral or Callie Briggs would not be able to appear in Revolution? 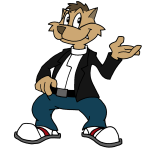 - Will SWAT Kats revolution feature a new voice actor cast? - Can you explain where the project is right now, with details about the process and why so many unexpected setbacks have occurred? - Has work that Tremblay Bros. Studios has done on “THE KAMELEONS” caused SK Revolution to be put on delay? Or is it part of a strategy to "get your foot in the door" for SK Revolution? - Because of obstacles related to WB concerning music rights and merchandise rights, what kind of changes do you think SK Revolution will have to embrace in order to be successful? 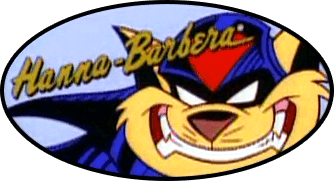 - It's been rumored that many of the themes and imagery associated with SWAT Kats has been considered too pro war or jingoistic by executives at Warner Bros., and that criticisms levied at the show for it being "too violent" or "not having any positive messages" that were given in 1994 are still in play today. Is this true? And if so, will SK Revolution be embracing any kind of tonal or thematic changes to better reflect the attitudes and positioning present in much of today's animation? - Tremblay Bros. Studios revamped its website this year, and it features lots of new content and licensed IPs. Have any of these projects presented any conflicts of interest with Warner Bros. that have unexpectedly worked against SK Revolution? - It's now the end of 2018, and several deadline markers given for status updates over the past 3 years have not been met. Does this mean that SK Revolution has failed? If not, what kind of time table should fans realistically expect? I understand these things take time, but showing background art (if it's been made) or even another new poster won't hurt anything. If I'm being honest, it would bring more hype to the reboot and draw in a bigger crowd. But currently, I'm going to go down the path Felony is and wait until 2020 and if nothing's done by then I will consider this reboot a wash.
Those seem like fair questions. Did they provide a date as to when they would be willing to talk about it? Did they give any specific reasons for not wanting to discuss it? I'm not privy to the ins and outs of this industry so I would hate to speculate as to what is going on. If they are just staying mum and not giving any insight as to why, perhaps it would be worth getting an opinion from other people in the industry. Maybe Lance Falk could weigh in, if he hasn't already? Or what about other people in the industry outside of this show? The anniversary and commemorative stuff is great, but the nostalgia factor can only go so far, particularly in the absence of new updated content. Only a handful of episodes have been produced, and that was a quarter century(!) ago. I have a question for the Tremblays: "What can you talk about regarding Revolution?" With the way things are going, they'll probably say they can't. In hindsight I think that the Kickstarter campaign wasn't the right way for them to start SK Revolution. I have the feeling there have been (and still are) too many loose ends concerning the rights on the show as they frantically try to convince Warner Brothers to make it happen. This is understandable as WB are still holding rights to vital assets of the show (merchandise, games, comics, etc.). Assuming that's true then there is quite an unhealthy dependency to that company and they seem to have been underestimated this situation what forces them to get in touch with the right person at the right time at WB. And this might take a loooooooong time. One thing they fortunately for them didn't do in the Kickstarter campaign was to promise a DVD or a BluRay of Revolution as one of the rewards, which is kind of standard when it comes to campaigns for computer or video games (most of these campaigns are actually rather pre-orders than kickstarts in my opinion). If they would have done this the backers would probably have gone on a rampage at Kickstarter already. But concerning the rewards, they've delivered everything and thus kept all promises for that matter. Concerning the scripts and the trailer... well, that's a different matter. One can say that this project is a real kickstart with all kinds of chances and risks and so it never was and never is certain that this project can ever be realized successfully. But it's still quite disappointing that there is absolutely no information about the scripts and the trailer. Their Commander Feral alike "No comment! "-attitude concerning questions about Revolution fit in with not replying to my comment at the 25 Years Anniversary Update. It surprised me a little that actually no one else picked up on those issues there. Actually I seem to be the only one who actually addressed some of the issues, but maybe I was too unspecific in order for the Tremblays or for other backers to pick them up. So if you actually are a backer too then why not address your concerns at Kickstarter instead of limiting it to this forum and/or the Discord server? But please leave your torches and pitchforks at home as they don't really gonna help to make things better. Concerning this I have a thought on my mind which you hopefully don't find offensive: I've noted that there are quite some fans which are understandably disappointed with the current situation of the ongoing process. But I also have the feeling that the majority of them actually never participated in the Kickstarter campaign. I wonder what those fans did actually really loose (except for some of their hopes perhaps)? They could actually pretend that the idea of SK Revolution doesn't exist and see the show as what it currently is: it's a 25 year old cartoon show which was ahead of its time, was killed off prematurely and inspires people to create art, fanfics and other stuff to this day. This is the way I'm looking at it and gonna get keep looking at until there is solid proof that Revolution is actually going into production. But I really hope that Christian stops romanticizing the past all the time and for the sake of his own credibility also stops making promises he isn't willing to fulfill afterwards. A broken promise is worse than no promises at all. @MoDaD: I hope this setback doesn't kill your enthusiasm concerning SK and I also hope that people don't make any false accusations into your direction. I can't be more agree with you Mr. Goodkat. This little retreat in the Revolution segment kills all hope I had in the show. Only the past projects remain for me too and I won't beleave anything until I see it being done with proofs. I'll go out of the hype train in the next station lol I already said it on discord, there are a few things I have noticed that may be the culprit of some delays and I can take it as an excuse, but it is not the same refusing to say ANYTHING about it. Every bit of information can be used as advertisment and fuel the hype and interest, keeping it alive (the flame is almost off, already seen by the fans enraging and leaving the fandom). I'm starting to lose interest too and I just hope Revolution doesn't end as another banner of a cancelled show in their web... It will be their grave. In all honesty, I get with keeping things in shadow as I, myself, pretty much enforce non-disclosure for everything on my side. Much out of preference. Of course, there is the side of keeping something like this with a strong fire. Difficult for fans to urge themselves into coming back when the burning questions of the whole production are left hanging. I, personally, respect and am content with the decision of the Tremblay's. Of course, I feel this probably doesn't hold much weight nor justification since I am a newcomer to the SWAT Kat community. It must be near torture to the senior fans, who are starved for some substance after all these years.